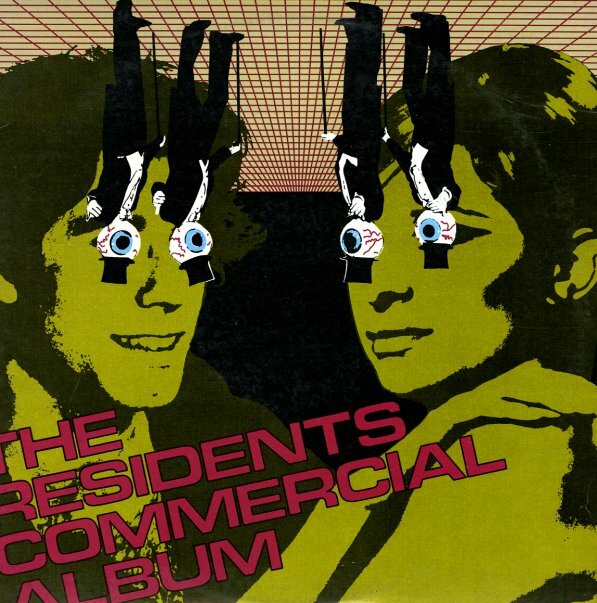 A genius moment for the Residents – a record in which they not only claim to go "commercial", by playing some tuneful songs throughout – but one in which they also claim that most pop music is the same as contemporary commercials – which means that all the songs here are just a minute long! The combination of modes is completely charming, and a wonderful refinement of all the genius that got the Residents going in these early years – and the shortness of the tunes, combined with the electronics and weird instrumentation, almost makes the record feel more like a relic from the cooler side of the German new wave – especially work by Der Plan. Titles include "Easter Woman", "Amber", "Japanese Watercolor", "Art Of Being Polite", "Medicine Man", "Tragic Bells", "Loss Of Innocence", "Simple Song", "My Second Wife", "Floyd", and lots lots more! 2CD version features lots more songs from the project – 12 more that include "Kraftwerk", "Cosmetics For Reality", "Pretty Baby", "Tuxedoes", and "Roscoe's Righteous Rodent" – plus 24 unreleased bonus tracks too! © 1996-2019, Dusty Groove, Inc.